The dragon claws in this free tattoo are especially live and pop up, master's techniques. 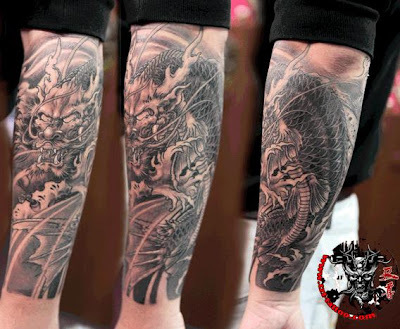 A not very colorful dragon tattoo, however, the lighter shadows mimicked the "cloud feel" very well. 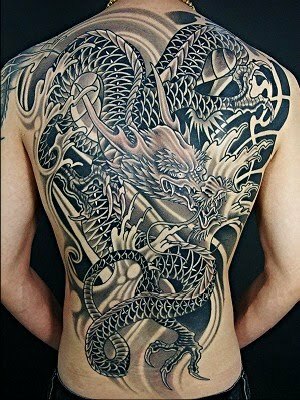 An overwhelmingly impressive full back tattoo featuring a Chinese dragon. 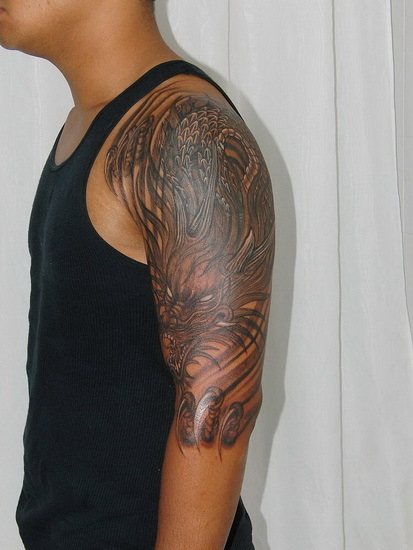 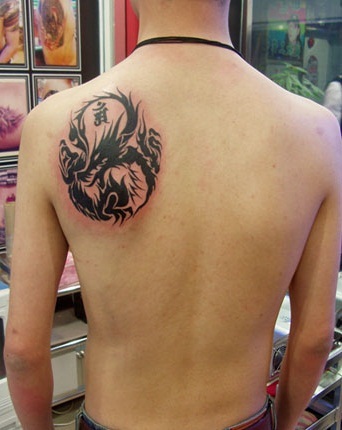 Another example of full back Chinese dragon tattoo design. 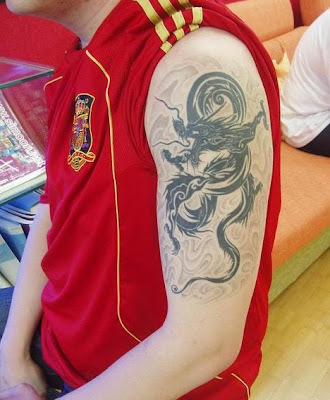 Unlike the usual full back tattoo design, this Chinese dragon tattoo covers both the front and back - very powerful tattoo. 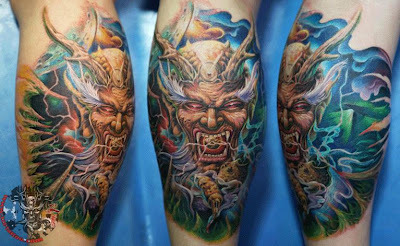 This dragon tattoo uses an interesting idea - it replaces the dragon face with a shouting human face.